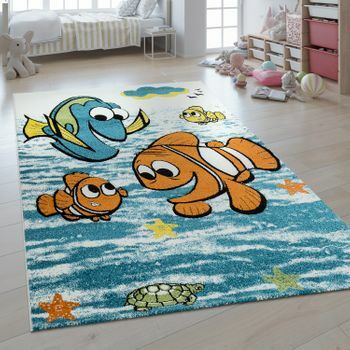 Children's rugs are not just part of the décor in children's rooms, they are also often a very practical toy. 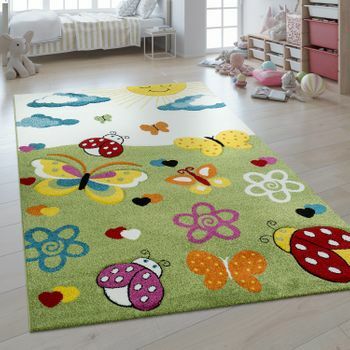 The Rug24 online shop has an extensive range of children's rugs. 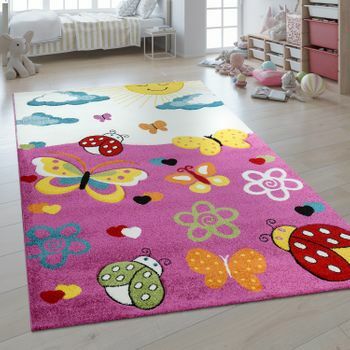 With bold, bright colours or patterns and characters, there is something to liven up any child's room. 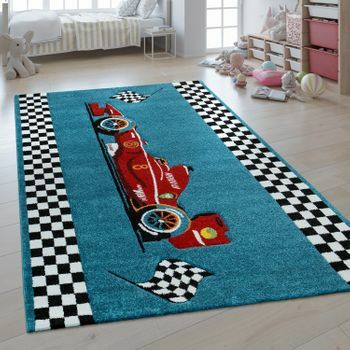 The shop features rugs with princesses for girls, and the road and car rugs will no doubt appeal to boys. 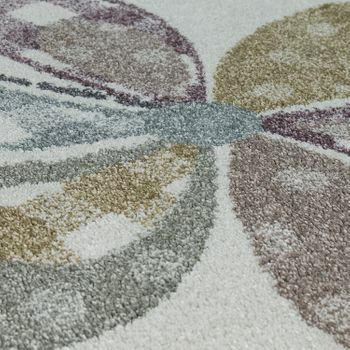 From modern patterns to playful designs, there is something to suit every taste. 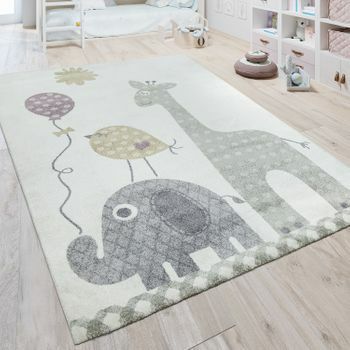 Giraffes and pandas as well as butterflies and cute owls feature in our designs, for example. These hard-wearing rugs are a highlight in the design of a child's room while at the same time serve as a hard-wearing play surface. 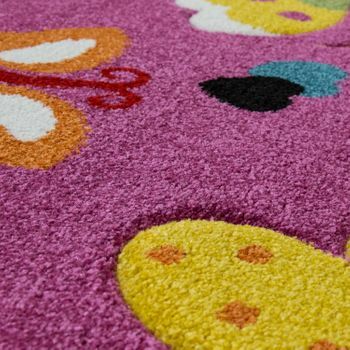 The play rugs not only add a splash of colour to any child's room but also serve as warm flooring. 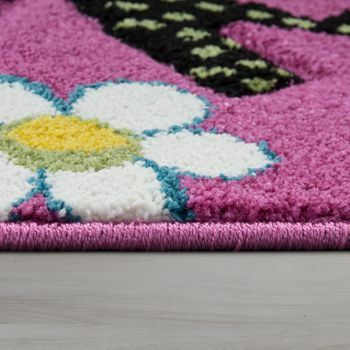 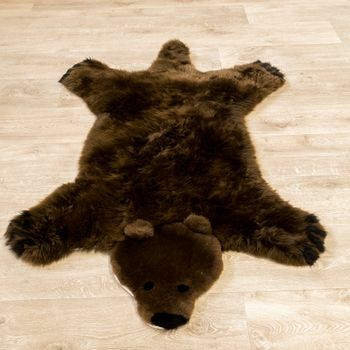 Children's rugs are, of course, made to a high standard using materials that have been tested for harmful substances. 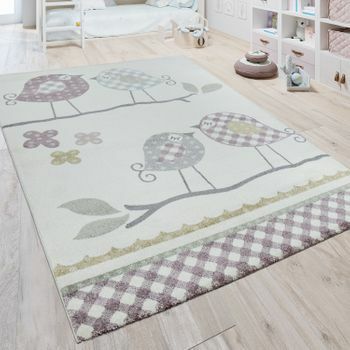 In short: The Rug24 online has shop a variety of rugs in all sizes ranging from small to large, which are bound to please the children. 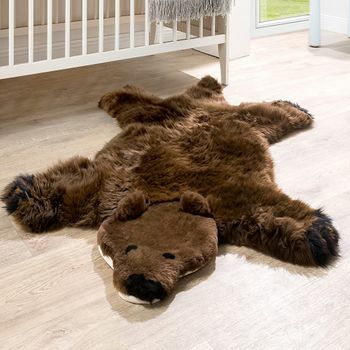 And they are all at great prices so are easy on the wallet and therefore making choosing even more fun for the grown-ups. 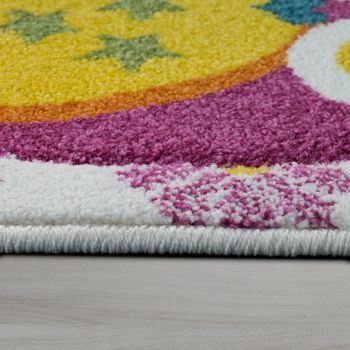 Ultimately, of course, it is the tape measure that decides which rug is best suited to a child's room. 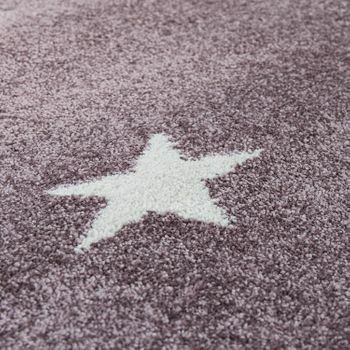 We have various sizes in stock and our team of specialists are on hand to help with any questions you may have, for example regarding the STANDARD 100 by OEKO-TEX®. 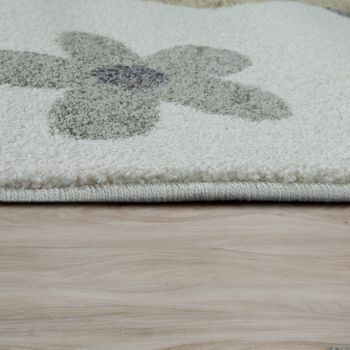 This means that all of our children's rugs are of the highest quality and tested for harmful substances. 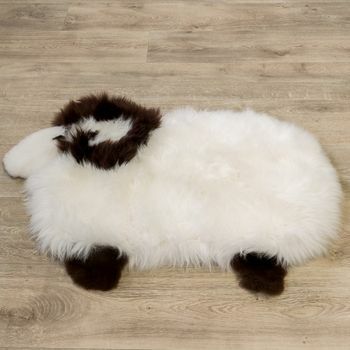 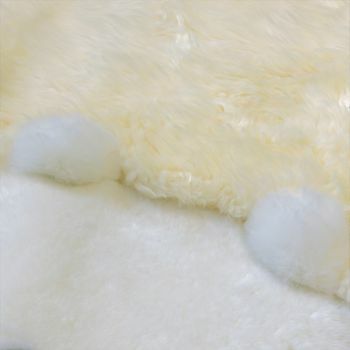 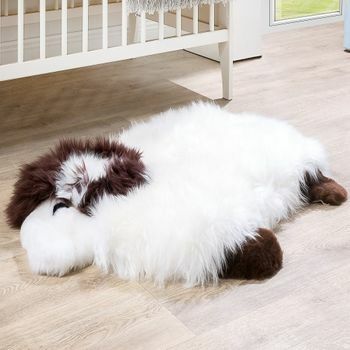 Whether you are looking for a rug for a boy or a girl, we have a huge range in stock available for immediate delivery. 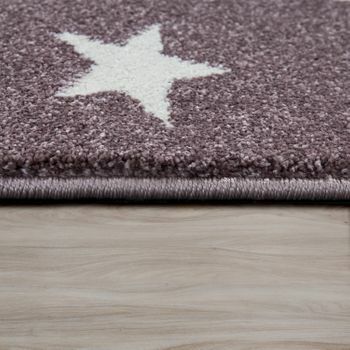 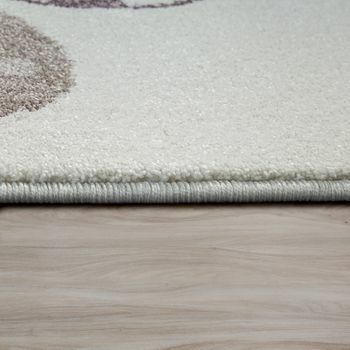 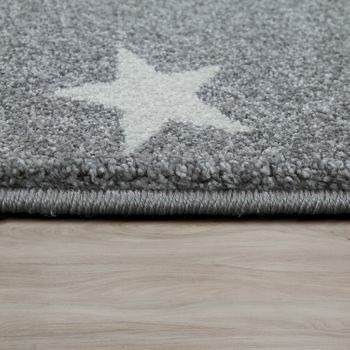 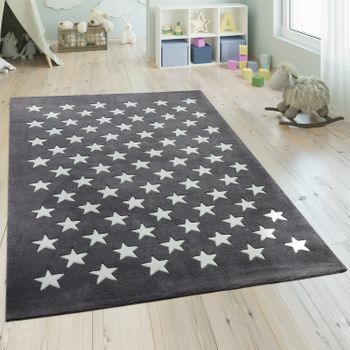 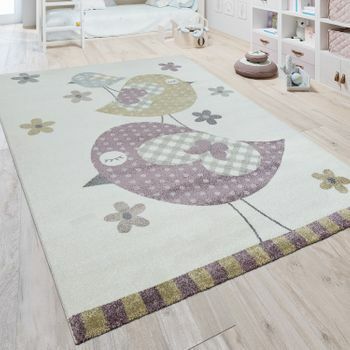 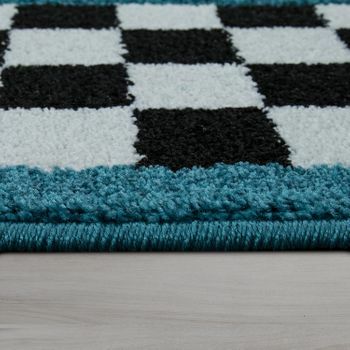 If a child's room has laminate or wood flooring, a children's rug is a useful addition. 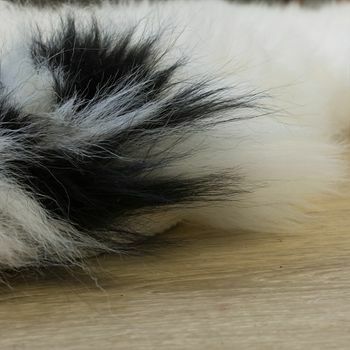 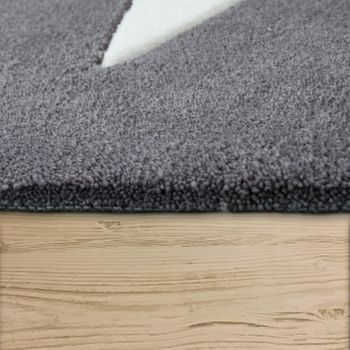 They prevent slips on the slippery floors and protect against cold. 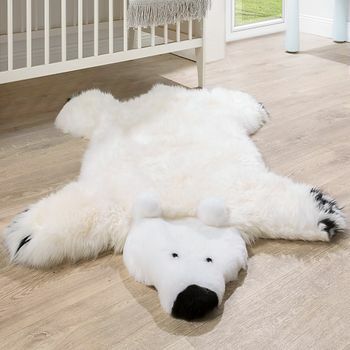 Also, children love to sit and lie on the floor, and this is not a problem on a rug. 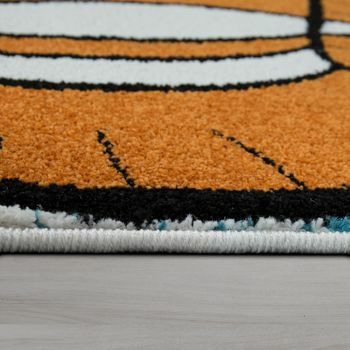 It also creates variety and new play ideas. 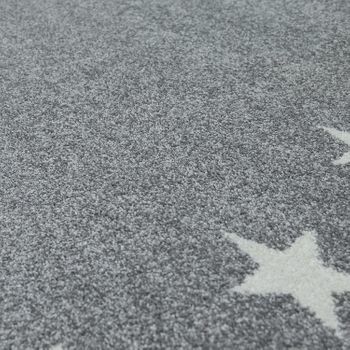 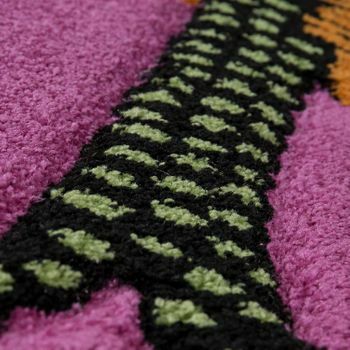 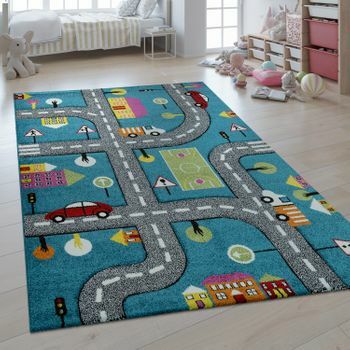 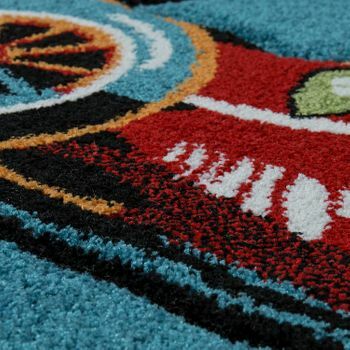 Many of our children's rugs offer special themes such as road layouts. 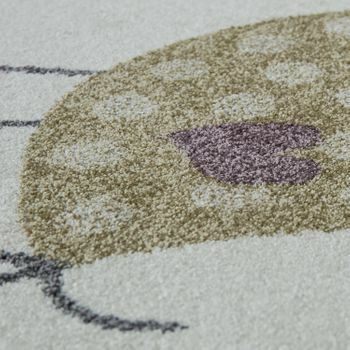 But children can also interact well with patterns and other motifs. 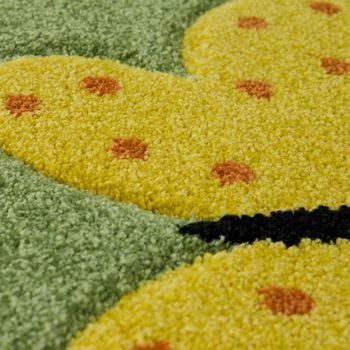 They may chat to the butterflies or drive along the lines of the squares. 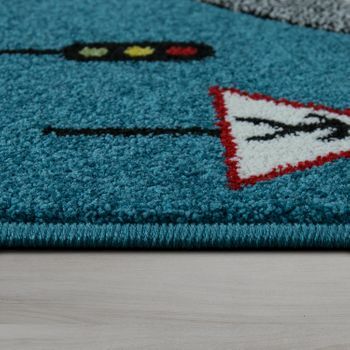 The cuddly bunny welcomes the big rabbit on the rug and a ship may inspire an adventurous pirate game. 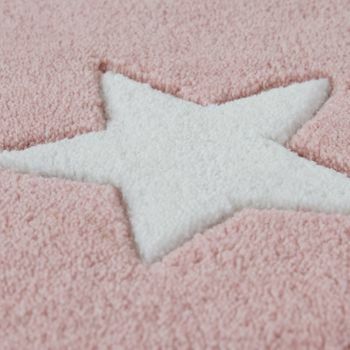 Children have amazing imaginations that come to life with just the slightest stimulation. 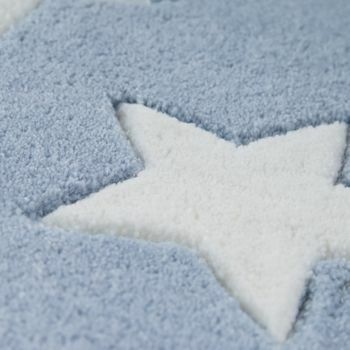 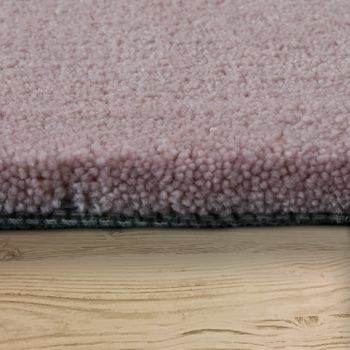 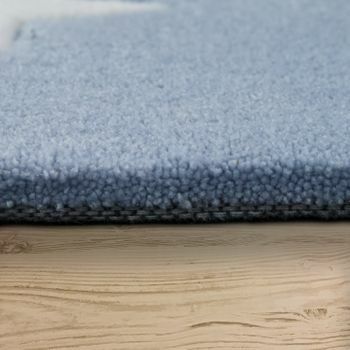 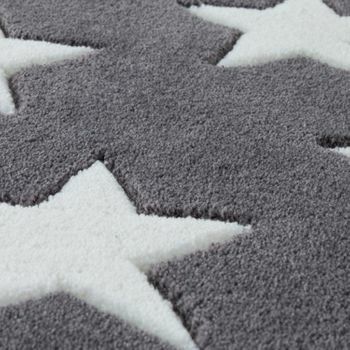 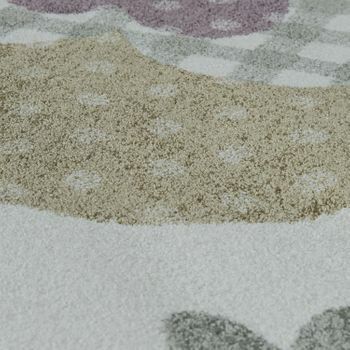 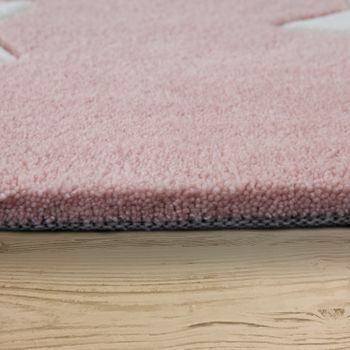 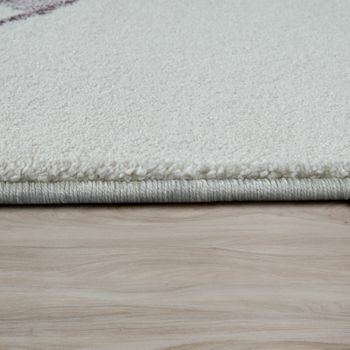 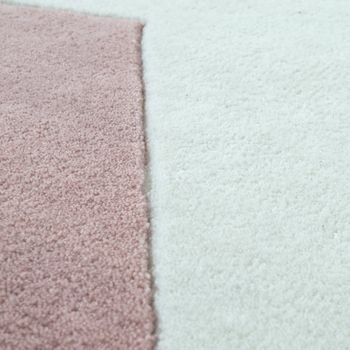 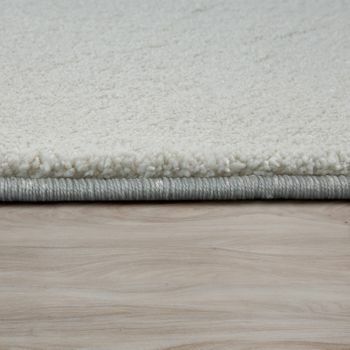 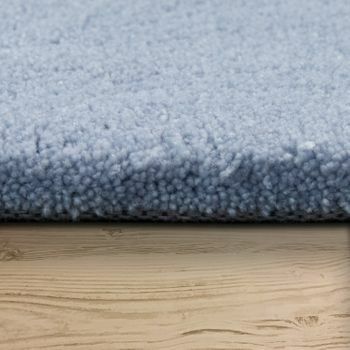 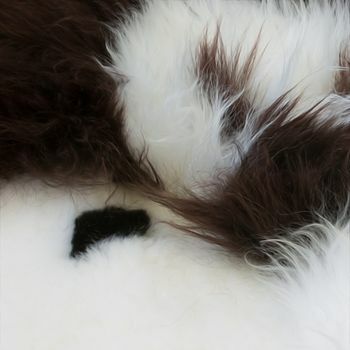 The low-pile children's rugs are not only tested according to the Standard 100 by OEKO-TEX® but they also prevent a build-up of fluff occurring. 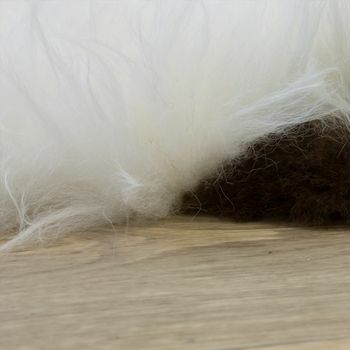 So you do not get the larger pieces of fluff that you do with wool rugs that can end up in children's mouths and noses, and therefore children are better protected. 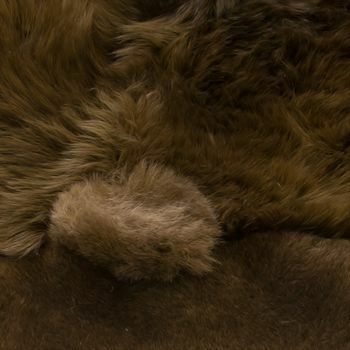 The low pile also brings out the best in the different motives. 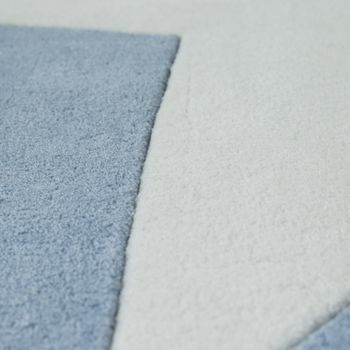 The different sizes also have various hemmed edges, usually without fringes so that children do not cut these off or choke on them. 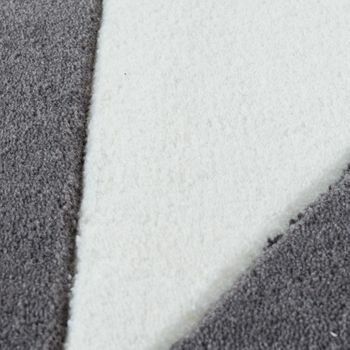 Each hem is carefully processed. 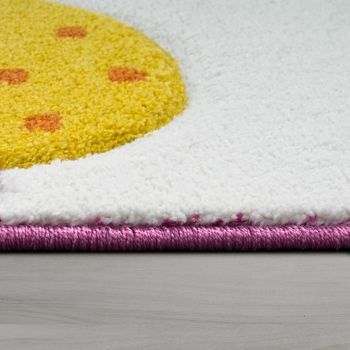 A children's rug presents as small a trip hazard as possible so that little ones can enjoy their boys' or girls' rugs without stumbling. And playing with siblings or friends is so much fun. 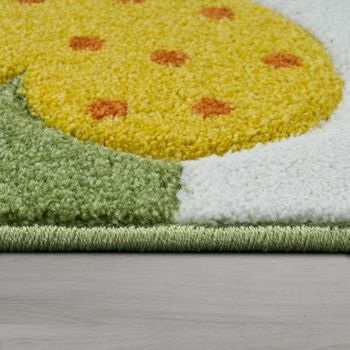 Adjust the size of the rug to the room so that the playing surface is just even and the rug does not ruffle up against the walls. 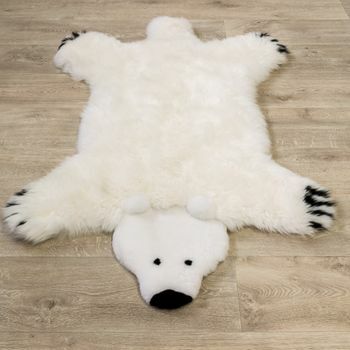 That would be very disappointing for the children otherwise. 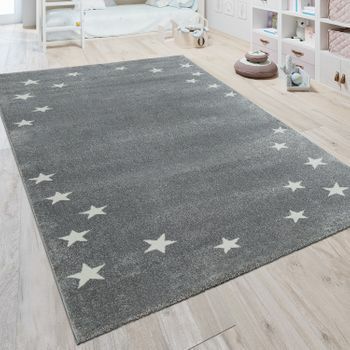 Since our children's rooms rugs come in various sizes and in numerous variations, they are also very well suited as the basis for a play house. 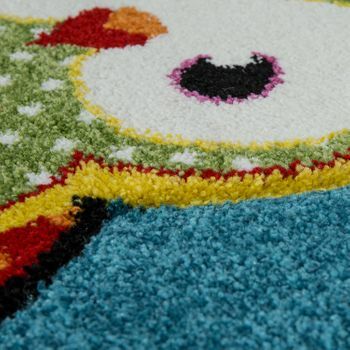 Many indoor play houses do not have a floor and stand safer on a rug than on a flat surface. 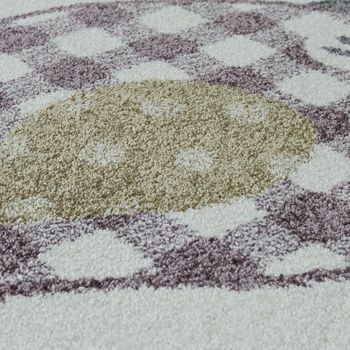 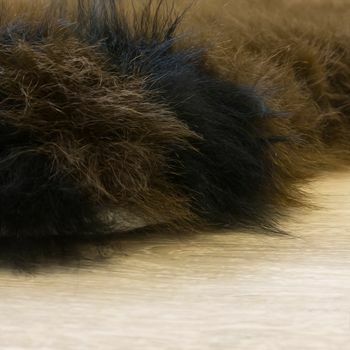 The house can therefore also include the rug as part of the play: It could be the floor in a living room or the house may serve as a kind of tunnel when placed on a rug with cars, for example. 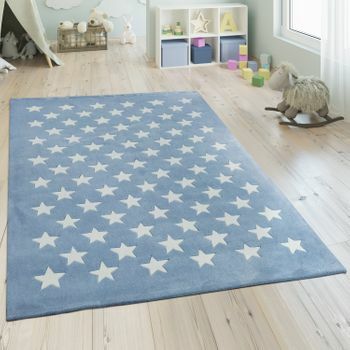 An important point when deciding which rug to choose is age of the child. 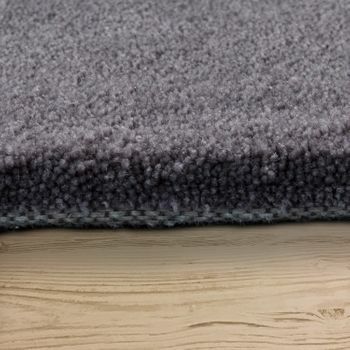 Some models are timeless and can also serve as a floor covering for teenagers. 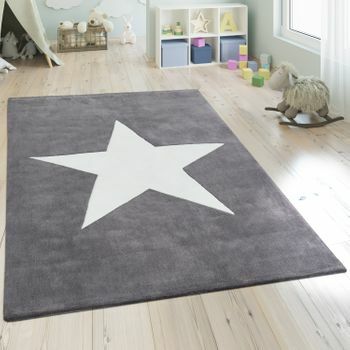 Others are designed specifically for smaller children. 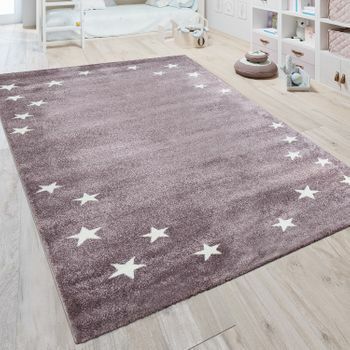 You can make this decision based on the age of the children. 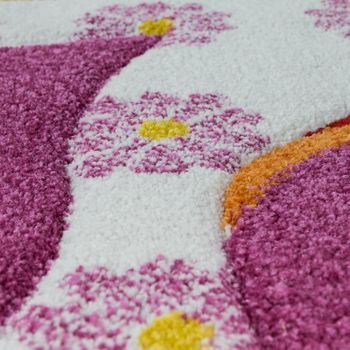 The design of the rug should also complement the room décor — and it isn't always easy to accommodate all wishes and opinions because the choice is so large. 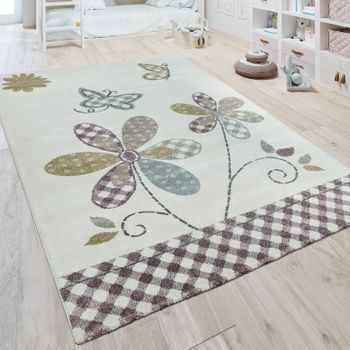 Since all of the rugs are available immediately, your decision can be a spontaneous one: After just a few days your new rug will arrive at your front door. 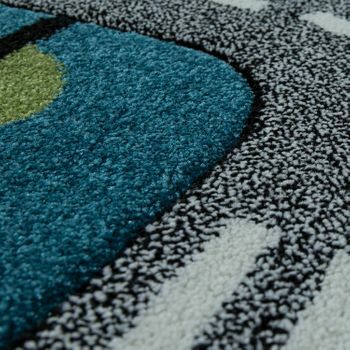 Our ordering service is available 24 hours a day, seven days a week. 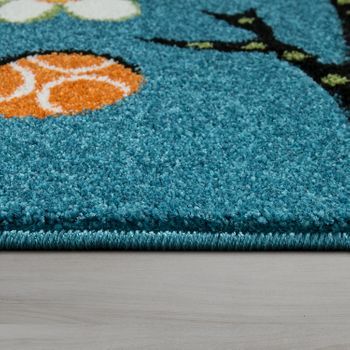 During the hotline opening hours, our specialist staff will be happy to help with any questions you may have regarding delivery or caring for your children's rugs. 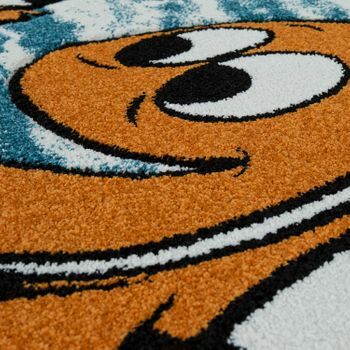 We look forward to your call and/or your order!